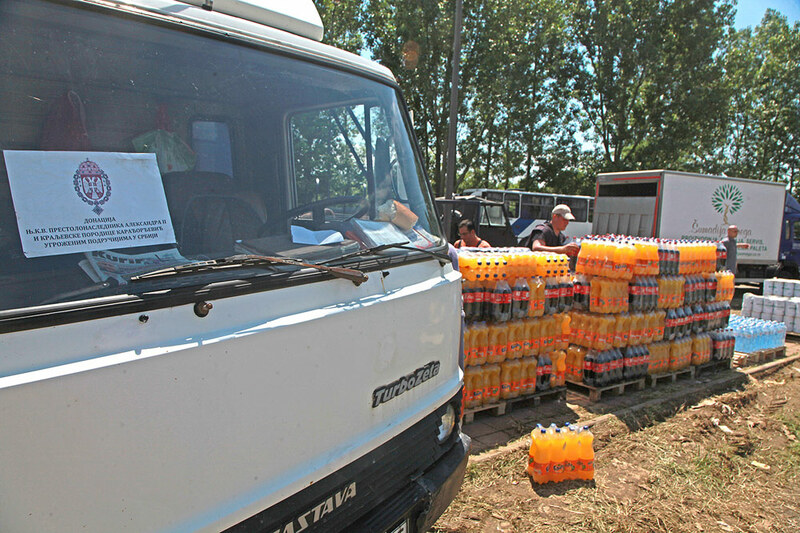 Their Royal Highnesses Crown Prince Alexander II and Crown Princess Katherine in cooperation with the staff of the Emergency Management Sector, within the continued efforts to help the most vulnerable, sent a truck of food, hygiene and disinfecting products to the vulnerable citizens of Obrenovac. The Royal couple continues to help Serbia and its citizens threatened by the enormous natural disaster that happened in recent days. 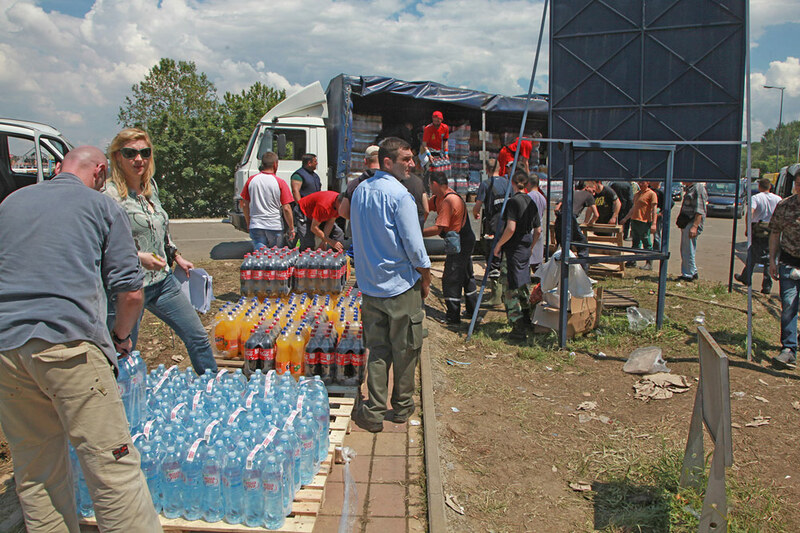 Crown Prince Alexander and Crown Princess Katherine have already visited and delivered aid to the citizens of Obrenovac, Topola, Natalinci, Blaznava, Sabac, Krupanj, as well as to the citizens who are accommodated in collective centers at Karaburma, Krnjaca and Surcin, several thousands of Euros with were sent. Their Royal Highnesses sent an urgent appeal to all people of good will to support the efforts of Lifeline charity, which is under the patronage of HRH Crown Princess Katherine, with offices in London, Chicago, New York, Toronto and Athens, in order to help our compatriots who are in trouble as quickly and as efficiently as possible. Members of the Association “Kingdom of Serbia”, which is under the patronage of HRH Crown Prince Alexander, prepared sandwiches and distributed them during the night to the volunteers who were filling sand bags at Makis.